TURIN - Fiat will close its Turin headquarters for eight working days this month and July to save money. Some 5,400 staff at the company's Mirafiori headquarters will be affected by the move, which will save Fiat about 1 million euros ($1.25 million) a day, sources told Automotive News Europe. The workers will receive about 80 percent of their normal pay to remain at home. This will be funded by the country's Cassa Integrazione temporary layoff program. The first closure will be on June 14-15, followed by June 20-21 and four days in July. In addition, the head office will shut down as usual in August for the summer vacation. The Mirafiori offices are home to Fiat's styling center, engineering and manufacturing operations, sales and marketing, purchasing and administrative functions. 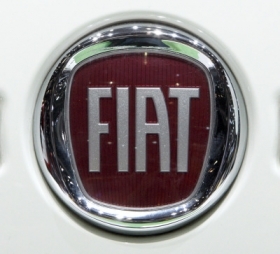 The temporary closure is part of Fiat's efforts to reduce losses in its Europe, Africa and Middle East region, which is steered from Mirafiori. In the first quarter, the region's trading loss almost doubled to 207 million euros from 107 million euros in the same period a year before. The region's annual result is expected to be worse than last year's 500 million loss. Overall, Fiat reported an 866 million euros first-quarter trading profit because of strong results from Chrysler and Fiat's Brazilian operations.